Does the Bible Tell Us Where Jesus Was the Three Days Between His Death and Resurrection? When Jesus died, did He immediately go to heaven? Did He descend into hell to free those held captive by sin? Was He in a state of limbo, purgatory, or in hell? We know that Jesus’ died, was buried, and on the third day was resurrected, but where was He in between the days of His death and burial and His resurrection? Where Did Jesus Go After His Death on the Cross? Jesus was put to death “in the flesh but made alive in the spirit” means that death could not hold Him. He was sinless and death are the wages of sin (Rom 6:23) but since Jesus never sinned, His spirit remained alive, even though He suffered death “in the flesh” (1 Peter 3:18). Death cannot truly occur to a Spirit Being, like Jesus was and is God. The grave has no power over sinless flesh and that is why those who are Christ’s will be raised to eternal life because His righteousness is accounted to those who believe in Him. The interesting thing here is that Peter writes that Christ made a proclamation to the imprisoned spirits. Was this the proclamation of the gospel? Did Jesus proclaim the gospel to those who had perished in the flood or to those of Noah’s family who were saved but awaiting Jesus’ redemptive work at Calvary? Did Jesus do this while His body was in the grave? There are many complexities in these verses. Some believe that Jesus preached (proclaimed) the gospel to those who died in the flood and had never heard the gospel and those killed in the flood could now here it since Jesus had not yet died to save them. Those who died in the flood had the judgment of God on them through the flood, however this is inconsistent with many Scriptures in the Bible like Hebrews 9:27 which says, “And just as it is appointed for man to die once, and after that comes judgment.” It does not say after death they will have another chance. Were these who perished in the flood the ones that Peter referred to as the ones being “in prison?” It does not seem to fit in these verses or in the context of biblical doctrine. Still others feel that Jesus went to those old saints of the Old Testament who were in Paradise but not yet in heaven because Jesus had not made atonement for them yet. We remember that Jesus said to the Thief on the Cross that “Today you will be with me in Paradise (Luke 23:43)” and Jesus didn’t say “Today you will be with me in heaven.” Are Paradise and heaven the same place? What is Peter talking about in these verses? It does not appear that the Old Testament saints needed to hear a proclamation from Jesus since there are all mentioned as being secure in God’s redemptive plan in the so called Hall of Faith in Hebrews 11. More support for this is found in 2 Peter 2:4-5, “For if God did not spare angels when they sinned, but sent them to hell, putting them in chains of darkness [some manuscripts read, “gloomy dungeons” or “abyss“] to be held for judgment; if he did not spare the ancient world when he brought the flood on its ungodly people, but protected Noah, a preacher of righteousness, and seven others.” In both Jude 6-7 and 2 Peter 2:4-5, these fallen angels are in a prison, a kind of holding tank, until the day that they will be cast into the lake of fire (Rev 20:10). They are bound with “everlasting chains for judgment on the great Day” (Jude 6) and this proclamation “to the spirits now in prison” was where Jesus apparently was for at least part of the time between the day of His crucifixion and death and His resurrection. How long of a time it was is not clear. No wonder then that the Apostles Creed states that Jesus descended into hell as part of their Creed. These fallen angels bound in prison were sent to hell (2 Peter 2:4) and so Jesus must have went there and proclaimed His victory over the Devil and all his fallen angels (demons). Jesus may have well ascended into heaven after this and remained there until His resurrection on the third day. I could find no other Scriptures to give an account for his whereabouts during the remaining time of His death on the cross and the resurrection. Second Peter 2:4 says, “For if God did not spare angels when they sinned, but sent them to hell, [Greek for hell is Tartarus] putting them in chains of darkness [literally gloomy dungeons] to be held for judgment.” Peter intentionally uses the Greek word for hell in verse 4, Tartarus, which in Greek mythology is a place lower than Hades itself and is reserved for the most despicable and evil of all human beings, god, and demons. Peter was emphasizing that this was the worst place in all of God’s creation of eternal torment and suffering (MacArthur’s Study Bible, p 1905). The Jews used this term as the abode of the lowest of the low – the deepest pit there was. The demons that were there then and must by necessity be there now, had to have been the most evil of all fallen angels. Even the demons begged and pleaded with Jesus not to cast them into the abyss when instead Jesus allowed them to go into the swine in Luke 8:31. Jesus went down to hell to proclaim His victory but did not go there to suffer because, in reality, Calvary was a living hell in itself, since hell is the absolute absence of God and Jesus was for a time separated from the Father. 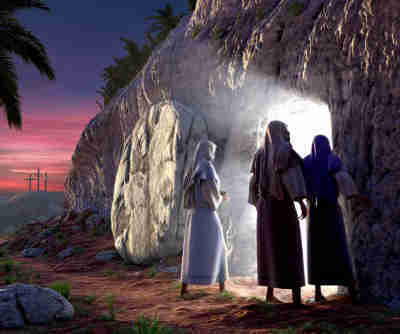 He went in spirit to hell to proclaim His victory over evil and His conquering of the grave too. This seems to fit the meaning of the verses in 1 Peter 3:18-20. Many Bible scholars and theologians believe that these bound demons will be released during the Great Tribulation mentioned in Revelation 9 even though we know there are many demons now roaming the earth under the sway of Satan (Rev 12:7-9). These now incarcerated wicked spirits (demons) are awaiting their final judgment and know that they will ultimately be cast into the lake of fire along with Satan (Rev 20:10) so they will be filled with sheer rage when they are released because they hate humans. They cannot harm the believers so they take out their insane anger on the unrepentant, who are also ultimately headed to the lake of fire (Rev 20:15). Jesus clearly states that hell was not originally intended to be the abode of humans. In Matthew 25:41b Jesus says that “the eternal fire [is] prepared for the devil and his angels.” No one has to go to hell. They have a choice. God never puts anyone into hell…they put themselves there by their rejection of God’s One and Only Son (John 3:18). Jesus died for all those who would place their trust in Him and promises to deliver them from the lake of fire (John 3:16). If you are not a believer in Jesus Christ today – that is if you have not placed your trust in Him and received the faith that saves, – you are headed to hell. He is not forcing you to go there, you are going there by your own choice. God takes no pleasure in the death of the wicked (Ezek 18:32) and He most certainly doesn’t want anyone to perish (2 Pet 3:9), so come to Him today and ask for His forgiveness, repent of your sins, confess them, and you will be saved. That is my prayer for you because if He comes again in the Second Advent before you are saved, I hate to think of your eternal destiny and the future fate of yours for time without end. Resources – New International Version Bible. THE HOLY BIBLE, NEW INTERNATIONAL VERSION®, NIV® Copyright © 1973, 1978, 1984, 2011 by Biblica, Inc.™ Used by permission. All rights reserved worldwide. Fantastic article! In a time when “everyone” writes & preaches on lovydovy religiousity, which is what people only want to hear, it takes boldness to write the very sad truth. There is no salvation without Jesus Christ and TRUE repentance. Which by the way would be a great topic for an article! Since people are deceived by what TRUE Christianity is! Everyone wants to believe in heaven & God’s Mercy, Love, Grace & Rewards, but they really don’t want to hear about hell or God’s wrath, which is as real as His Love! This goes for all of us, especially christians; who think is all about going through the motion of the moment, “accepting” Jesus, baptizing & then going on with your old unholy life! Most preachers today, that is exactly what they preach: “Accept Jesus as your Lord & Saviour, Confess your sins, get Baptized AND MOVE ON WITH LIFE! (Oh, and don’t forget to congregate, the pastor needs to make a living too!) They ALWAYS forget to mention the part about “by their fruits they will be known” Putting the concept of “right & wrong” in a very relevant position, in order to accomadate their lifestyle. So new age! Congratulations! Amen Mabel. We can’t tell people about the good news without telling them the bad news too. I agree that confession, repentance, find a church home, baptized, and bear fruit worthy of repentance for no good tree puts out bad fruit nor bad tree good fruit and it is written, “you will know them by their fruits.” I, like you, resist the urge to preach (at my church) the real good, feel good, we’re all good gospel because Jesus spoke on hell more than heaven. I believe it is more than “accept Jesus” but it is confess, profess, and possess. Thank you for your zealous comment Mabel. That was beautifuly stated, and wonderfully true!!! Your comment was refreshing and I, for one, have been blessed to read it. Praise on!!! Thank you so much for always backing up your articles with scripture. I gave a Bible study yester to a group of women on friendship. Your atricle on friendship helped me so much. Did I miss your article on (Can Christians be cremated)? Thank you so much Jane for your visit and the edifying words you left. Thank you for telling it the old fashioned way.Nobody can be saved except thru’Jesus and turning away from sin and evil. Only repentance and acceptance of the shed blood of Jesus washing away our sins and accepting His lordship will save us. Thanks for your explanation about the where about of Jesus during the three days of His death. The truth is what you mension that He went to Hell to proclaim His victory over the Demons, Not that He was there to suffer like the fallen Demons. I love that , God bless you and God will continue to release more facts to you as you keep on making research . Thank you so much Pastor Bright. That means so much coming from another pastor. When I behold all that our Savior did for us, made a spectacle for us, who are all most unworthy, I can not even describe the breadth, depth, and width of such love. Indeed, no human words can express the unfathomable love that He has for us. May God richly bless you, your family, and your ministry Pastor. dear pastor Jack i’m new born christian underground a former muslim from south east asia, not know much about our Jesus the way of life just a beginner only. Now I have a question can we pray asking to Jesus going to hades share a gospel to our relative non believer there I know its very difficulties to do. But above your article got a a quote from bible about Jesus going to hades for preaching. Is it Judas Iscariot has been save? Because Judas Iscariot hang himself early than Jesus died on the cross. Hello again Francis…I am trying to answer all of your questions and its hard to keep up as you ask several every day and I also have made about 6,000 comments and answered about 4,000 different people too. We can not pray people out of hades or hell once they die for the Bible says that “It is appointed for man once to die, then after this, the judgment.” Jesus may have went there to preach to the old saints from the Old Testament who were already saved by their trust in God (read Hebrews 11 to see what I mean). He may have went there to tell them that He lived a sinless life, died for them, and was raised again so that they could be in Paradise. No, Judas Iscariot was not saved. He was never a believer but only wanted the money from their missions. Corrected and I am indebted to you Suzie. Thank you. This only proves that only God’s Word is without error. Me? Not so much. Thank You for the clearest teaching on this subject that I’ve read so far. I’ve wondered for many years where Jesus was for those three days and I think you have it as close to being right as can be interpreted. Mr. Sauers…that is one of the nicest things I have ever had said to me…but surely, God is worthy of all honor, glory, and praise for without Him and the Holy Spirit I would know nothing! Even so, thank you so much sir. I love this !! It’s hard to find teachings like this on the internet, teaching with the complete truth. This was great because you backed things up with the bible and it was straight foward and to the point. I’m in AWE of this ! Great Job ! Thank You for clearing this up for me because i was also wondering this same thing. God Bless You Mr. Jack Wellman ! Thank you so much Mrs. Matta for your encouraging comment. Truly we serve an awesome God and to Him be all the glory for I know nothing that I have not received. Mr. Wellman, would not the men in the days of Noah be spirits after death? I’m sure their body did not go with them. I thougth Jesus did both preached and set the spirits of man free and also proclaim victory over the demons…(Death)Iit was always my thinking that His action of setting the spirits of men free was the proclamation over death. But I am of simply a mine. Hello Connie, no ma’am, you are not of a simple mind. This is a very good question. Yes, the spirit is currently being held for the second death if they have not had faith in God and today it is faith in Christ after repentance. I believe that the men and women of Noah’s day are being held today and are spirits today “There shall be a resurrection of the dead, both the of the just and unjust.”—Acts 24:15. Those who trusted in God like Noah and his family will not face the second death (Rev 20:11-15). Luke 16:19-31 gives an example of Lazarus and the rich man. The first proof I will offer of this, is, that it has been the constant and unvarying faith of the saints from the earliest periods of time. Abraham believed the resurrection of the dead, for it is said in the Epistle to the Hebrews, chapter 11 verse 19, that he “accounted that God was able to raise up Isaac even from the dead; from whence also he received him in a figure.” Indeed, “The hour is coming when he will call the dead to judgment, and they shall stand before his throne.” many of them that sleep in the dust of the earth shall awake, some to everlasting life, and some to shame and everlasting contempt (Daniel 12:2). Did this answer your question my friend? In other words, it “seems” that He might have but we don’t know for certain and I can not say that dogmatically so I must say where the Bible is silent, I will be conclusively. It seems that way does not mean that it IS that way so I am sorry about the ambiguity or to put it as concrete evidence, which I can’t. That will be something we will find out someday but the conclusion is that He is still preaching the gospel using men and women by His Word the Bible and in conjunction with the Holy Spirit is still saving souls. I only attempted to shed some light on a possibility but not with certainty. I am glad you are hungering to know more. I have far to go myself. Thank you again. This is very informative. It’s exactly what a Christian like myself wanted to know. I searched for this information for a long time without finding any answers, but through this site I’ve found very scriptural answers. The information given here is a real blessing to me. God bless you abundantly. Thank you Daniel for your very kind words my friend. It is astounding that He loved us that much to endure a living hell on the cross at Calvary. Your encouragement has been a blessing to me sir. This question is to undo the work on the cross which is faith, u cause ur brother to sin with this question. Jesus took the keys of hell and freed the captives. God wouldn’t condemn the old world since Jesus hadn’t come yet. He who has the key can lock the door. (The door that no man can open and no man can close) hell is out of business, the fallen come out of the pit and come DOWN to earth. The bottomless pit is in space not earth. Wow Shepp e…you are so encouraging my friend. I so thank you and I have fewer comments that made me beam like yours did and as you know, truly all glory goes to God Himself. Joyce Meyers is not that far off from her teachings of Jesus descending to hell. A few articles point to this as being very true. This suggests that Jesus, between his death and resurrection, went in the Spirit and actively preached the gospel to those who had perished centuries before in the great flood. Perhaps these people, because of the great wickedness on the earth at that time, were considered not to have had a reasonable opportunity to respond to God, and so Jesus came and proclaimed the gospel to them in its fullness, in light of his just-completed death on the cross. Paul gives us a suggestion that some of those who heard the gospel under these circumstances responded positively. In Ephesians he quotes from Psalm 68, “When he ascended on high, he led captives in his train,” and then applies these words to Christ: “What does ‘he ascended’ mean except that he also descended to the depths of the earth?” The “captives” would be the souls whom Jesus led out of their “imprisonment” after they responded positively to the gospel when he proclaimed it. From these biblical hints about what Jesus did between his death and resurrection, the community of his followers later developed the doctrine of the “harrowing of hell.” To “harrow” means to despoil; the idea is that Jesus triumphed over hell and released its captives. This doctrine has a rich history in the art and literature of the church. The First Heaven is mentioned in Deut. 11:17–Then the LORD’s anger will burn against you, and he will shut the heavens so that it will not rain and the ground will yield no produce. The Second Heaven Psalm 19:4, 6–In the heavens he has pitched a tent for the sun . . . It rises at one end of the heavens and makes its circuit to the other. The Third Heaven 1 Kings 8:30 (phrase repeated numerous times in following verses)–then hear from heaven, your dwelling place…Psalm 2:4–The One enthroned in heaven laughs; The LORD scoffs at them. Matthew 5:16–In the same way, let your light shine before men, that they may see your good deeds and praise your Father in heaven. Babiboi…heaven has always existed and is anywhere that God is but the first heaven (clouds, birds, etc) and the sun, starts and moon (2nd heaven) did not exist until creation. Does that help? David, thank you for your interest in sharing this with those who speak Spanish. I just emailed it to you with a translation into Spanish. My sister and I just finished reading your article about where did Jesus go in the the three days after he died on the cross. We found it very interesting and learned from it. I wanted to read it right away, but she (my sister) kept warning me not to read things when I don’t know a thing about the person that wrote it. Therefore, I did some research and she then approved … giving me (her oldest sister) permission to read it out loud to her. She has her two favorite writers, authors, etc., but she and I have found this “new guy”, Jack Wellman, new to us, and we believe that he really knows what he is talking about. He backed up everything with scripture and clearly stated what was scripture and what his feelings, thoughts, whatever you wanna call it, so that there was no confusion. Thank you Jack Wellman and I definitely want to read more that you have written. Thank you. Phyllis Huey from S.C.
Oh, my brother, where to begin! I praise God for your obedience in studying to show yourself approved, and for His ministry through you. I am in the midst of a fiercely, fiery, trial, and have been devouring the Word. For, as you know, the Sword of the Spirit, is THE weapon. This was one of those days when the enemy was looming larger than he ever has the right to, in the life of a Blood- bought child of God. I thought that what I needed was scripture to address my current earthly circumstances. PRAISE GOD, for directing me to this message which proclaimed satan’s defeat! The visual imagery of Jesus triumphantly descending into the pit , and proclaiming victory over the vilest of the fallen angels left me in a stunned silence. My spirit was quiet. My mind at peace. I can once again be still snd know that He is God. Love and peace to you and yours as we await His eminent return. Thank you so much CJ for the encouragement my friend. Yes, it is inspiring to know that Satan has been defeated and someday (soon?0 he will be bound for all time. May God richly bless you my friend in Christ. 1. What scriptures equates or defines fallen angels and demons as the same? I can’t find any. Couldn’t they be different beings? 2. In 1 Peter 3:18 above, scripture says Jesus was “made alive in the spirit”. Doesn’t this indicate that Jesus may have also died in the spirit, which would make His dying for our sins all the more awesome! There would be no need to be “made alive in the spirit” unless one had died in the spirit. As for 1 Pet 3:18, which says “For Christ also died for sins once for all, the just for the unjust, so that He might bring us to God, having been put to death in the flesh, but made alive in the spirit” but we know that Jesus is God (John 1:1-14) and since Jesus is God and God is Spirit (John 4:24), Jesus cannot die. His physical body died, so it is more like Jesus physical body was quickened or made alive in or by the Spirit, or by God’s Spirit. The Greek of “spirit” is actually capitalized, meaning it is a proper noun, therefore is a Person, and that Person is the Holy Spirit, most likely. It could have been the Father. Hello Linda. I just subscribed you to our newsletter. Thank you for visiting our site.